The 2016 Chevrolet Corvette Z06 is a beautiful car, and its special C7.R Edition was revealed in April of this year. A lot of the auto world’s focus has gone to this extremely limited edition Corvette that is poised to hit the market later this year. All of this attention is making some drivers of the Corvette Stingray feel like yesterday’s news. Chevy saw that new car envy and turned it into a new line of performance parts unveiled at the SEMA show in Las Vegas. These new parts basically turn a Corvette Stingray into the new Corvette Z06 in terms of performance. 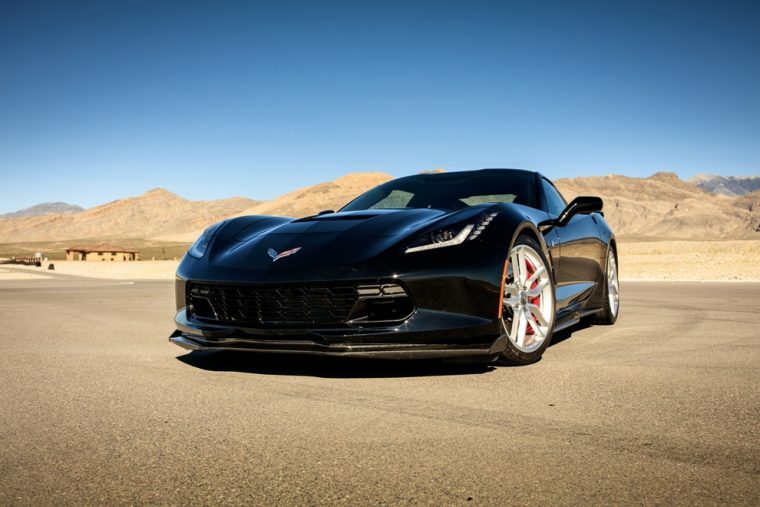 Along with several special edition trucks and Camaros, Chevrolet pulled up to the SEMA show with drivers from the famous Ron Fellows Corvette high-performance driving school to demonstrate the abilities of the Chevrolet Corvette Stingray equipped with the new accessories. The parts are designed for Corvette Stingrays from the 2014 model year or newer, including the Z51-equipped cars. From a special brake kit, to carbon fiber underbody braces, to stylized quarter panel vents, there are about 14 new performance parts at SEMA just for the Chevy Corvette Stingray, so if owners weren’t feeling love from the bowtie before, they sure are now. The Corvette Stingray Track Day concept is on display in the Chevrolet booth for show attendees to see all of the parts installed. If successful, this new line of parts could change how we think of cars, allowing owners to refresh their model with the newest technology on the heels of an updated model.